Tooth Whitening. A simple way to transform your smile! There are many reasons why you may want to get your teeth whitened. Everyone’s teeth are different; and just as our skin and hair colour vary, so does the colour of our teeth. Very few people have brilliant white teeth, and our teeth can also become more stained and discoloured as we get older. Your teeth may also become stained on the surface from eating certain food and drinks. Also smoking may stain your teeth. Tooth whitening is a highly effective way of lightening the natural colour of your teeth without removing or damaging the tooth surface. It cannot make a complete colour change, but it will lighten the existing colour of your teeth. 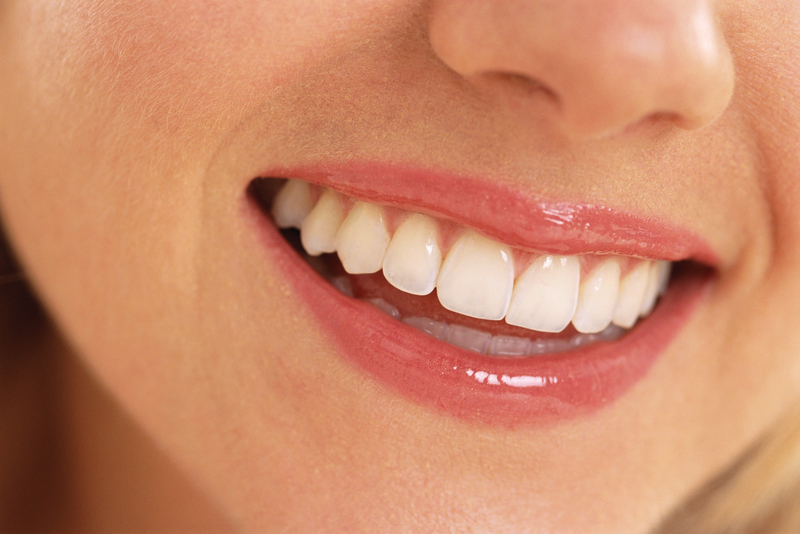 Tooth whitening has now become one of the most common and safest cosmetic procedures in the world. There are many studies in the dental literature that confirm the safety and success of tooth whitening.Your dentist will be able to tell you if you are suitable for tooth whitening treatment, and supervise it if you are. Your dentist will provide you with custom made mouth-guards that fits on your teeth like a gum shield, and a gel to place in the tray and on your teeth. You whiten your teeth at home and results are usually visible within a few weeks. The results of tooth whitening usually last around three years but you can easily “top this up” using tooth whitening gel at home. Is this some thing that may interest you? Why don't you contact our team at Spicer Road Dental Practice and arrange a consultation, to see what we can do to transform your smile. Music. So when was the last time you listened to a whole CD? I was thinking the other day how in recent years the way we listen to music has changed. My thoughts were prompted when I realised its been more than 2 1/2 years since I've listened to a CD. Thinking about it, the only CD player I now have that works is in my car. So what has changed for me? I was a fairly early adopter of MP3 players. 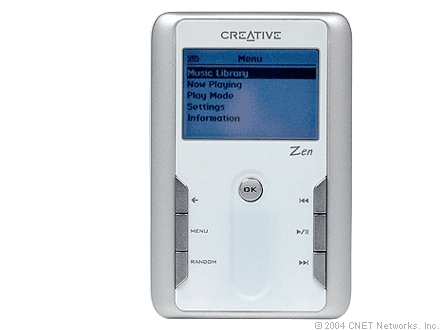 Over six years ago I bought a Creative Zen Touch MP3 player, the idea of being able to carry my entire CD collection around in my pocket appealed to me. It was at this point I stopped listening to whole albums and started to play my music on the random shuffle setting. I love listening to music like this because tracks get thrown out from the darkest corner of my music collection, and sometimes these long forgotten tracks are absolute gems. MY zen MP3 player lasted over three years, but when I converted from PC to Mac at home I discovered my trustee MP3 player wouldn't connect to my mac and there was no mac compatible software for the device. So sadly my zen touch was retired and I converted to my iPod classic. 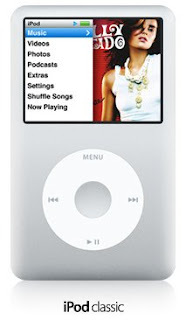 I love my iPod and via iTunes I have over 4400 tracks. I think my music consumption has changed, I tend to buy one or two tracks off albums now but via digital music stores I can access tracks from bands I loved as a teenager, guilty pleasures like A Flock of Seagulls, Visage, Gary Numan and Ultravox. My 80's music collection was mostly on cassette and it great to be able to rediscover how good (and naff) some of this music was. I hope you don't think me as a philistine for on listening to my iPod on shuffle but as I said I love it when I get to hear a track I haven't heard in ages. Two recent favourites thrown out recently were Broken Land by the Adventures and From the Stars by White Lies.